Your home is unique, which is why we provide the ultimate made-to-measure service. With over 20 years’ experience, we can advise you on fabric, colour and design to compliment your decor and individual style. 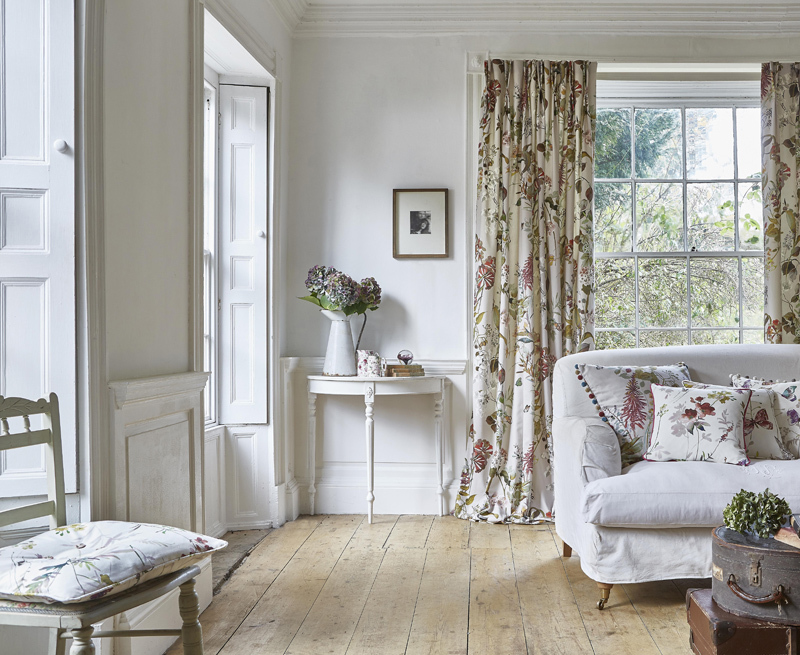 Transform your home with our stunning bespoke curtains, blinds and soft furnishings. We work one-on-one with our clients, offering a very professional curtain and blind service to help you through the process of choosing. We advise you on ideas, measuring, through to installation to achieve your desired results. Come and visit our showroom – based in Worcestershire – to browse our extensive range of sample books and pole collections to find the perfect styles for your home. Our success has been built upon offering a unique combination of quality and attention to detail, achieving a loyal customer base and a growing selection of new customers many of whom come on recommendation. You can either email or call with your measurments and requirements. We can quote based on your measurments and are happy to guide you through the measuring process. If you accept a quote, we can visit your home to take measurments and view your windows. 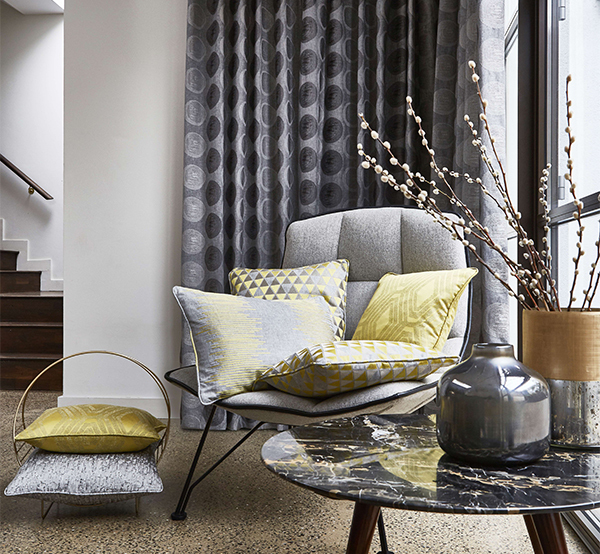 Alternatively, we can visit your home with a selection of samples for you to choose from, we will take measurements and discuss your soft furnishing requirements. A home consultation is charged at £50, but later refunded against a subsequent order of over £600 (excluding fitting). We offer a full fitting service by one of our experienced fitters charged per item fitted or on a daily rate for larger projects. Our curtains and blinds usually take 3-4 weeks to be made up from time of placing order. 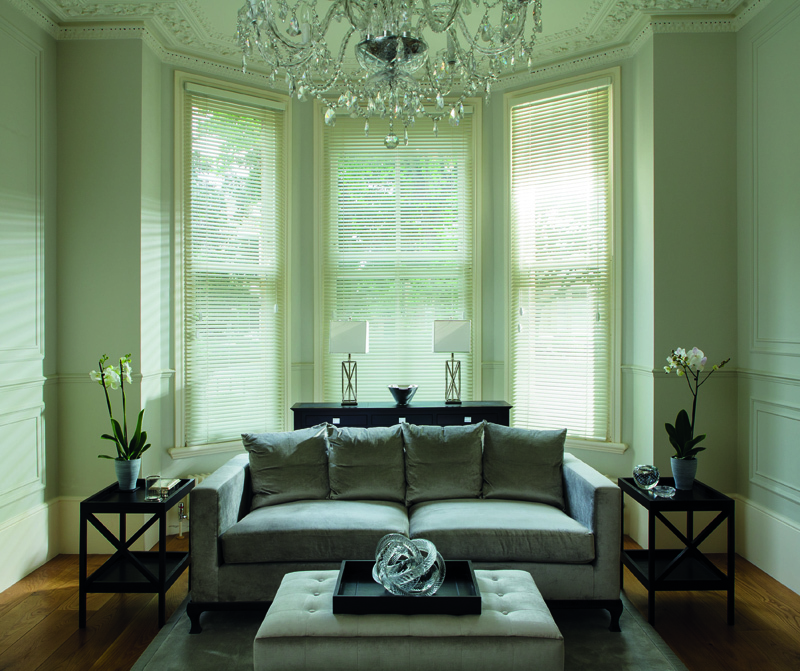 Bespoke curtains, blinds and soft furnishings from design to installation. We have used Sally to make several curtains and Roman blinds for our house. We have been very pleased with the service Sally provides from start to finish every time. The quality of her work is exceptional. We would highly recommend Sunflower Soft Furnishings and Sally to anyone’. We have used Sally at Sunflower Soft Furnishing for two houses now.. We have always found her to be very professional, she has been accommodating when booking appointments and has worked to fit in with our schedule and has often travelled to meet us, has always offered a wide range of choice of materials for blinds and curtains, offers her opinion on colour schemes to make choosing easier and has delivered well made products - I would highly recommend Sally. Having moved to the area to a new house, I was looking for a company to do the curtains. I feel so lucky that I found and choose Sally from Sunflower soft furnishings. She has done all the curtains, pelmets, blinds, cushion covers for the whole house and Her standard of work is superb, not only that she is friendly, helpful and nothing is too much trouble. I would have no hesitation in recommending her. Thanks again Sally for a great job, I am so pleased with the results. A high quality and professional local business. I have been a customer of Sunflower Soft Furnishings for some years and have always been delighted with their service. I've had curtains and blinds made for a number of rooms and the quality is always consistently high. I would hesitate to recommend them to friends. © 2019 Sunflowers Soft Furnishings.